FusionCharts is a very cool cross-platform charting library – it offers huge variety of chart types and mind-blowing special effects. 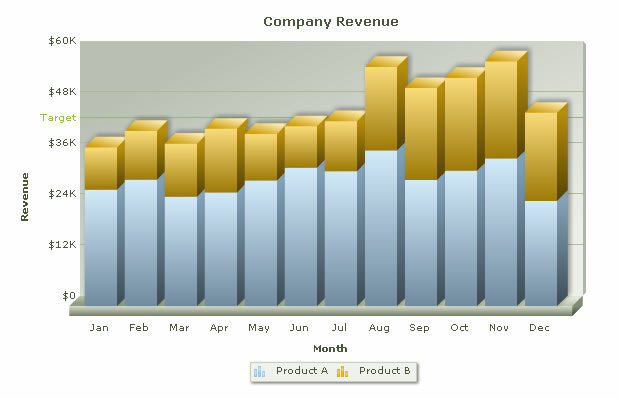 It also offers wide variety of chart rendering options both client- and server-side. where xLabel1 is a Label or Literal control in your ASPX page and FusionCharts.RenderChart is a function that accepts number of parameters, like chart type, chart XML data, dimensions etc.